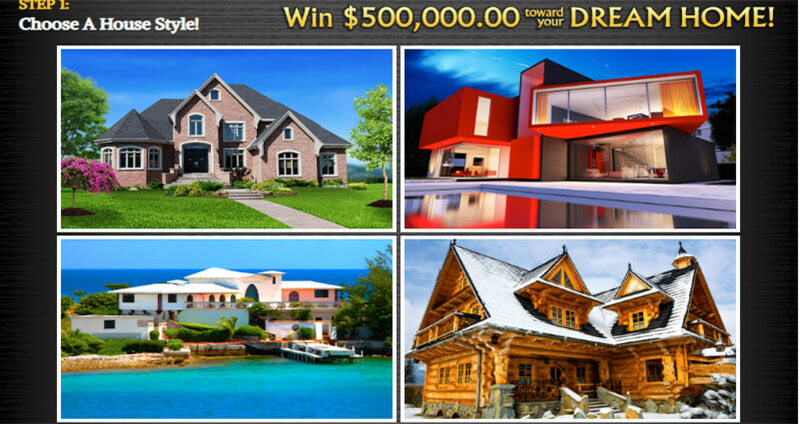 PCH Dream Home Sweepstakes – Don’t hesitate and use all the opportunities that Publishers Clearing House offer you to increase your chance of winning that amazing amount of money to apply toward the purchase of a brand new house. A sweet home of your dream with all the asset you’ve always wanted or needed that is missing in your own house. Maybe an open living plan, ample kitchen counter space, huge storage everywhere, a spacious master bedroom with adjacent bathroom, deck or patio and a big garage. Whatever your needs or style, you will be overwhelm by all the possibilities you could have or buy with that amount of cash toward a brand new home. As stated on Publishers Clearing House Official Sweepstakes rules:”A limit of one online entry per day is allowed per individual and per e-mail address for each separate online promotion unless otherwise specified. Subsequent entries determined to be submitted from the same email address or from the same individual using multiple email addresses in violation of this rule will be declared ineligible. All entries received by 11:59 P.M., ET, 6/23/19 from this Promotion will be eligible for a $500,000.00 prize (Giveaway No. 18000). You will automatically be entered into this Giveaway by completing the entry process. Upon timely entry, your assigned Prize Number will be fully eligible to win. Entries submitted from this Bulletin/Promotion after the deadline will be deemed invalid. PCHSearch&Win I am claiming sole ownership and activate SEARCH #1, Prize Numbers (9037 8361 7991) and (5295 9858 5388), be place on Winner Selection List, to win $700,000.00 GWY #18000, Special Notice. Winner will receive $17,500.00 a year for 29 Years and a final payment of $192,500.00 in the 30th Year. GET IN TO WIN. Yes I’m claim entries in Gwy pch sweepstakes 18000 yes yes yes I would love to be the next winner in the dream home.Thank you Janice DuBose and may God bless you all I’m claim entries in Gwy pch sweepstakes 14,000.00 a week for life and upgrade and plus more and bounds cash vip also and dream come true for me if I win. PCHSearch&Win I am claiming sole ownership and activate SEARCH #6, VIP Elite Rewards, 6 Shots to Win Big, $500,000.00 Fortune, GWY #18000, 4/26/19, during special early look prize event. GET IN TO WIN. Yes please PCH, I would love to claim my 4x entry further dream home sweepstakes prize. This is extremely exciting!!! I also would like to wish everyone good luck. Search & Win $1,000,000.00 SuperPrize, Plus $50,000.00 Bonus gwy.#18000 &11002. I would love to win $500,000.00. Not only helping myself, after working 63 yrs. (retired at age 80)& family but to enable me to put a lot of smiles on many well deserved people. It is a blessing to share with people who are in need of help. I Give Anything To Win A Dream Home For My Family. Yes I want to win Giveaway No.11812; $500,000.00 VIP Exclusive Prize! Thanks again PCH and Prize Partrol. God Bless. Yes I want to win on December 21st. Happy Holidays! For a New House call”HOME”. I am claiming ownership of this mega prize of 500,000 cash gwy # 11812 due date for this prize is December 21. PCH VIP ELITE 4× ENTRIES, I am claiming ownership and active VIP ELITE, SEARCH #3 entries to win $1,000,000.00 VIP ELITE Exclusive, GWY #11812, 12/21/18. I want to win this prize. I AM IN IT TO WIN IT. I would like win 50,000,00 no.gwy 18000 for my dream house are really 10,000,000,00 more like it. Just want it all .Lol was always my dream to have and never stopped dreaming to was hoping that dream will come reality.. I would love to win $500,000.00 from PCH GWT NO.18000 It would help complete my dream. My dream is not only helping myself & family but to put a lot of happy faces on the well deserved people. The wounded soldiers, blinded Vets, “Smile Train” (children born with defected facial and needed surgeries), to donate to my faith, etc. PCH VIP ELITE, I am claiming ownership and active VIP ELITE, SEARCH #3 entries to win $1,000,000.00 SuperPrize, GWY #18000, plus $50,000.00 cash bonus prize, GWY #11002. I want to win this prize. it would be a dream for me to win with PCH i have been watching PCH for so many years now, I will turn 6o this next December cant walk, can’t work anymore, MS has taken control of my life. it would be a dream if the PCH prize patrol really came out to Northern Utah to visit me, they never seem to think about this area of the country, it is nice…now. soon the snow will fly and it will be cold here. I’m claiming giveaway # 18000 for $ 500, 000.00 dlrs. towards the buying of a new house from this bulletin in a timely manner. from PCH , thanks. I have worked really hard on the pchsearch do it too win it I want to win more then anything I have ever wanted in my life. All my friends on Facebook please pray for me. I hope this will happen for me and my family they will share with me if I do win. I want to thank PCH for giving me the opportunity to work on this I have worked hard day and night I will not lose hope this has become my dream. Ally friends on Facebook on October 26th keep your eyes open If my hopes and dreams come true I will let you know. Thanks PCH for myself and my family. PCH VIP Elite, These 4 Big Prize Opportunities are Ready to Claim with your Search, I am claiming ownership and active SEARCH 3 entries to win $1,000,000.00 VIP Exclusive Prize, 10/26/18 GWY #11812. I want to win this prize. By Searching Earlier This Week, I’VE SHOWN MY LOYALTY AGAIN! I’M CLAIMING ALL OF THE VIP ELITE REWARDS that my sweepstakes loyalty has earned me. I’M SEARCHING FROM ALL FIVE BUTTONS BELOW before the 11:59PM, ET entry deadline. PCHSearch&Win:Confirmation of Loyalty:Search Button #2/5:I’m claiming my Entry to Win this $500,000.00 for a Home of my Family,I hope I really Win this as soon as I Win I’ll buy me a New House! !and I’m always ready to Win,I want to,PLEASE!! PCH Extra VIP Elite Reward, I am claiming ownership and active SEARCH 3 entries to win $50,000.00 VIP Elite Prize Reward, 10/26/18 GWY #10424. I want to win this prize. PCHSearch&Win I am repeatedly claiming and entering to win $2,500.00 A Week “Forever” Gwy #11000 on October 26TH. Now I am also Claiming to Enter and Win $500,000.00 for Amy Dream Home Gwy #18000 and $50,000.00 For a Brand New Car . PCHSearch&Win I am repeatedly claiming and entering to win $2,500.00 A Week “Forever” Gwy #11000 on October 26TH. Now I am also Claiming to Enter and Win $500,000.00 for Amy Dream Home Gwy #18000 and $50,000.00 For ABRAND new car . I would love to win $500,000.00. This will enable me not only helping myself after working 63 yrs.,(retired at age 80) & family but to help our wounded soldiers, blinded Vets, “Smile Train” (children born with defected facial and needed surgeries), to donate to my faith, etc. I will accept and enjoy these special opportunities to win by searching now. PCH, Thank you for letting me be a VIP Elite member. I’m enjoying it! 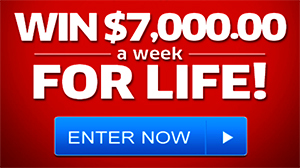 $500,000.00 Cash Prize gwy #12812 please enter me in now Thanks. PCHSearch&Win:Extra Entitlement Earned:Search #3/6:I would like to claim 2X Entries out of 12 for a Chance to Win $500,000.00 Cash from PCH Gwy,No,18000. yes iam ready to WIN. iam suprised i even got thos far . i just want to make it easier for my kids and step kids . Yes I’m searching by 11:59 PM, ET Entry deadline applies. Clint henderson September 23 2028 if a were to win any prize i would love to win 500,000.00 for search 3. PCHSearch&Win:Flagged:Search #3/7:I want to claim my 7X Entries on my third Search to Win a $500,000.00 Fortune Cash. I want full ownership of this mega prize of 500,000 cash gwy # 18000 VIP ELITE EXCLUSIVE REWARD. I am entering to win 500,000 cash fortune gwy # 18000 on October 26. Clint henderson September 18 2018 i claim entry for search 4 to win 500,000 cash prize amount. Yes I want to win Giveaway No.11812;$500,000.00!WOW!Yes I can get my Dream Home,if I win and meet The Prize Partrol Team.Thanks again PCH and Prize Partrol.God Bless. I need a dream home i prisicella fayne am a loyal player with pch. If i could turn back time i would have a morgage no renting apartment have my own live my life w/ o worries to live life witn a ease& not wonder how & win my next bill is due & how i am going to move above water level or see tje level buy a car to get around. A home to lay my heaf firmly/ secure ly it would be a blessing to help the church, buy toys for the needy, volunteer more to give back, pay it forward so others can follow my suit of good deeds publishing clearing house dream home valued@ $500,000.00. NOW IT’S TIME TO REAP THE REWARDS! I’M CLAIMING ALL OF THE VIP ELITE REWARDS that my loyalty has earned me – 5 SHOTS TO WIN BIG! I’M SEARCHING FROM ALL 5 OF THE BUTTONS before 11:59 PM, ET expires! And…….. I’m off to go do play at pchfrontpage.